Whether it’s stunning beaches and bays that you are after or ancient historical sites and marvelous mosques, Turkey’s cities will never disappoint. Delicious cuisine and a friendly and welcoming population await you, and Turkey’s rich cultural heritage makes for an intoxicating experience that will surely live long in the memory. From the bustling streets of Istanbul to the quiet, laidback way of life in Urgup; there is something for everyone to enjoy in the country’s majestic cities. With so much to see and do in Turkey, visitors to this incredible country will find it hard to fit everything into their itinerary. Set on a beautiful natural harbor, Fethiye is stunning, thanks to the pristine turquoise waters and the forest-covered hills that border it. 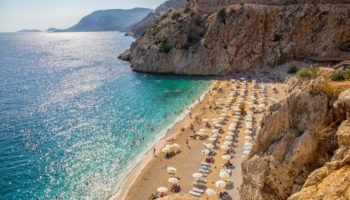 A popular destination, its fine beaches are perfect for lounging on, and you can easily take a Turkish yacht cruise around the bay or head to one of the nearby pretty islands. While the city was almost destroyed by an earthquake in 1958, it has impressively sprung back to life and many of its ancient sites still remain intact. The stunning Amintas Rock Tombs are definitely worth checking out, as is Kadyanda Ancient City and the ghost town of Kayakoy – both nearby. Lying only eight kilometers from the Geek island of Chios, this seaside resort town has a wonderful waterside promenade, a stunning Genoese castle and a lot more for visitors to enjoy. While the castle is undoubtedly the main attraction, the modern marina is bustling with life, as are the many shops and restaurants in the wonderfully preserved old town. With lots of nice beaches on offer, Cesme is also a great place from which to explore the surrounding area. The fourth-largest city in Turkey has grown quickly in recent years and was once the first capital of the Ottoman Empire. Now a modern city with a slightly chaotic feel to it, the ugly industrial outskirts of Bursa are in stark contrast with the historic center, which is delightful to wander around. 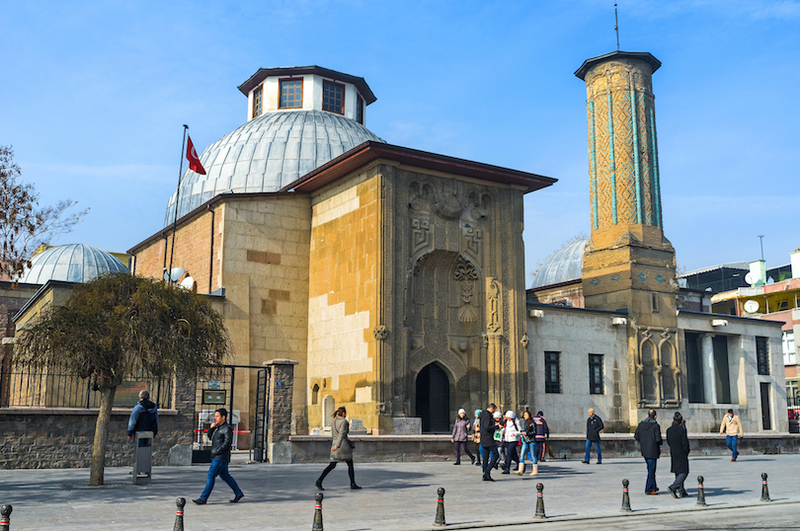 With some fantastic mosques, mausoleums, and museums to enjoy, Bursa has a lot to offer, and the devout population is very welcoming and friendly. The nearby Mount Uludag has great skiing, while there are lots of brilliant hamams about town if you’re looking for a warmer way to pass the time. 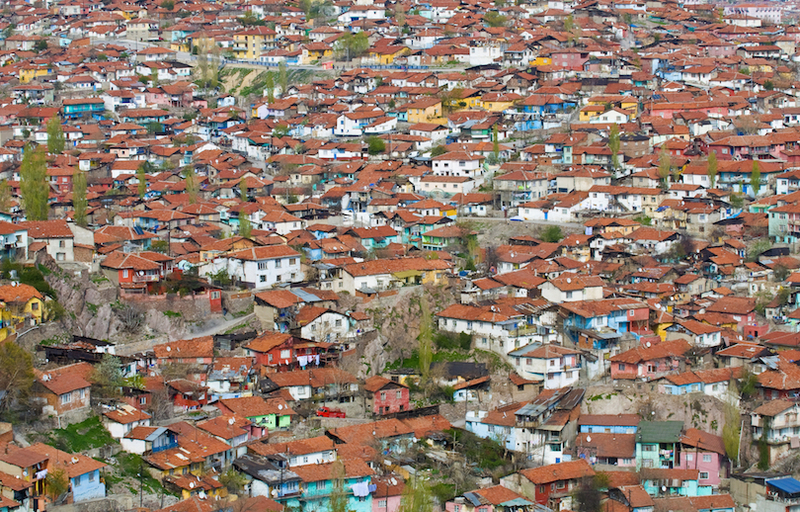 While the capital of the country is often overlooked by tourists, Ankara is a fascinating place. With a youthful, upbeat energy, it is well worth stopping by. Now a sophisticated modern city that is home to countless embassies, Ankara has many fine restaurants and trendy cafes for you to visit, although it can appear somewhat like a concrete jungle at times. A fun and lively place, the spectacular Museum of Anatolian Civilizations is a must-see in the city, as is the humongous Anitkabir mausoleum of Attaturk. Also known as Sanliurfa, as well as ‘the Prophet’s City’, Urfa has a wealth of beautiful old buildings scattered about town and many people come here on pilgrimages or to replenish their spirits. With a very Middle Eastern feel about it, walking around the local bazaar is intoxicating as you try to take in everything that is happening around you. While urban development projects mean the city is changing rapidly, its ancient past still shines through in the shape of the stunning Dergah Park and Mosque Complex. When stopping by Urfa, a visit to the ancient Gobekli Tepe temple is a must. The busiest port on the Black Sea, Trabzon’s strategic location on the old Silk Road means that it has been fought over and ruled by different people and cultures for millennia. While the city is rapidly modernizing, the medieval mosque of Aya Sofya is the main attraction in town, although there a couple of places worth visiting nearby. Teeming with life, Trabzon has some great restaurants and cafes, and going to watch the local football team play will certainly be a memorable experience. Head to nearby Uzungol Lake for a nice day-trip, or to the spectacular Sumela Monastery. Once home to the famous Persian poet Rumi, Konya is known nowadays for its wealth of beautiful architecture that dates back to when it was the capital of the Rum Sultanate. A conservative city, it is an economic powerhouse in the region and more and more tourists are visiting every year. 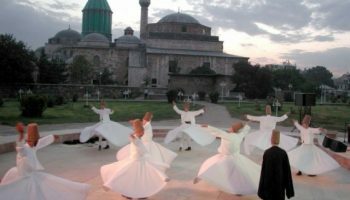 Among the main attractions are the Mausoleum of Rumi, which is interesting to visit, and the ancient village of Sille nearby, which offers a fascinating look at the region’s past. A trendy, cool place to hang out, Bodrum is a fantastic city that has everything you could want in a holiday destination. With lovely beaches and a picturesque look, the city’s Aegean character shines through in its traditional whitewashed houses and the delightful little cafes and cobbled alleys that you can find about town. 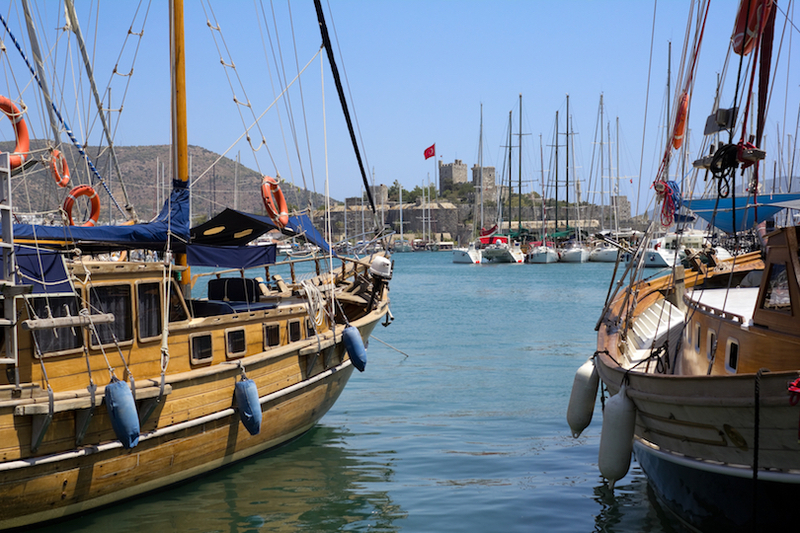 While it is a historic place with a stunning castle, ancient ruins and a spectacular amphitheater, Bodrum’s elegant bars, trendy restaurants, and lively nightclubs mean that there is something for everyone to enjoy. Once the capital of the Ottoman Empire, Edirne’s grand past is visible all about you, as fantastic old imperial buildings, palaces and mosques are scattered about here and there. The Selimiye Mosque, for instance, is a must-see in this delightful city, and the Old Quarter is lovely to wander around. 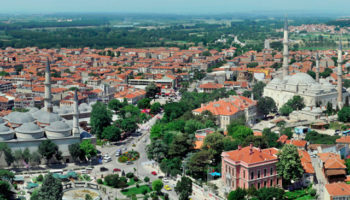 Due to its strategic location and its proximity to Greece and Bulgaria, Edirne has a European feel about it and there is lots of delicious cuisine on offer. A great time to visit is in summer, when the prestigious and traditional oil-wrestling festival of Kirkpinar takes place. A lively and fun city to visit, Kusadasi is a popular holiday destination thanks to the plethora of package-tour companies that operate here. Lying on the coast, there are a multitude of hotels, restaurants, bars, and nightclubs for visitors to enjoy, with the party scene being particularly memorable. Away from the lovely beaches and stunning views of the sea, Kusadasi’s proximity to some wonderful historical and natural sights makes it well worth stopping by. 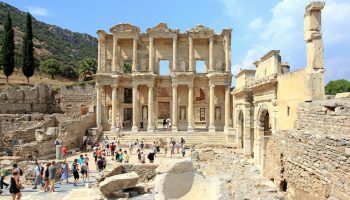 The archaeological site at Ephesus is mesmerizing to visit, while the Dilek Peninsula National Park is great if you are looking to immerse yourself in nature. Lying on the shores of the delightful Bay of Izmir, the third-largest city in Turkey is home to a huge port and is a youthful place, teeming with life and energy. With a lovely waterfront promenade that is full of great restaurants, bars, and cafes, it is a fun city to visit; its multicultural heritage means that there is lots of delicious food to sample. The fantastic bazaar is amazing to wander around and there are lots of old churches and mosques for you to visit, as well as a brilliant history and art museum. Lying on the Aegean Sea, Izmir has some great beaches on offer and its welcoming population will make you feel at home in no time at all. 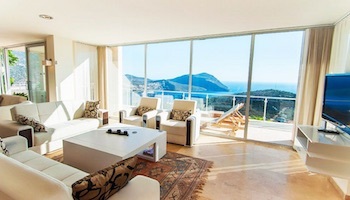 Located on the south coast, Alanya is a popular place to visit; lots of companies offer cheap package tours here. As such, the city is full of sunseekers who come to enjoy the all-inclusive hotels, the pounding nightlife, and, of course, the sun and sea. While many people simply come to kick back and relax, Alanya has a lovely waterfront, some great historical sights and a scenic look to it; the hills that surround the center of town are coated in traditional houses. Consequently, you can be enjoying a boat trip one minute, marveling at the spectacular old Citadel the next, and later on be reveling in the raucous nightlife after a sun-kissed day of activities. 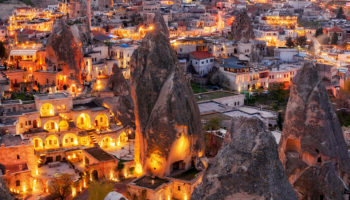 The small town of Urgup is a quiet, laidback place for the most part, and is the perfect base from which to explore the stunning Cappadocia region of Turkey. 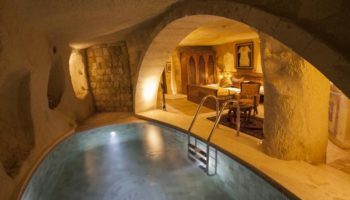 Despite being a rural town, its lively downtown area means that there are more than enough nice hotels, restaurants, and cafes for visitors to enjoy, and some of the cave hotels truly are memorable to stay in. While there aren’t any attractions per se, the beautiful stone houses and old rocky hillside make it a scenic town to visit. Because it is set in the heart of the wine-producing region, there are lots of great wines to try. From here, you should visit the spectacular Churches of Goreme nearby or take a hot air balloon ride over the incredible countryside. Lying on the Gulf of Antalya, Antalya’s coastline looks absolutely stunning and the towering cliffs offer up spectacular views of the mountains off in the distance. 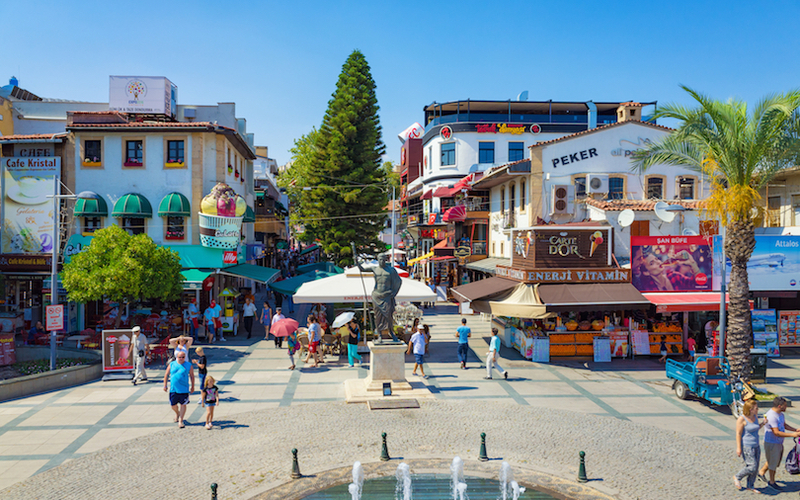 A wonderful city to visit, Antalya is drenched in history and the old center of Kaleici is delightful to explore, with fine Ottoman houses lining the narrow streets and alleys. Nearby, the Roman-era harbor is a lovely place to stop off and take in the sea breeze and there are a couple of nice beaches that are perfect for relaxing on. Once seen as the gateway to the Turkish Riviera, it is well worth visiting; the wealth of attractions, fine dining options, and great weather make for an intoxicating mix. 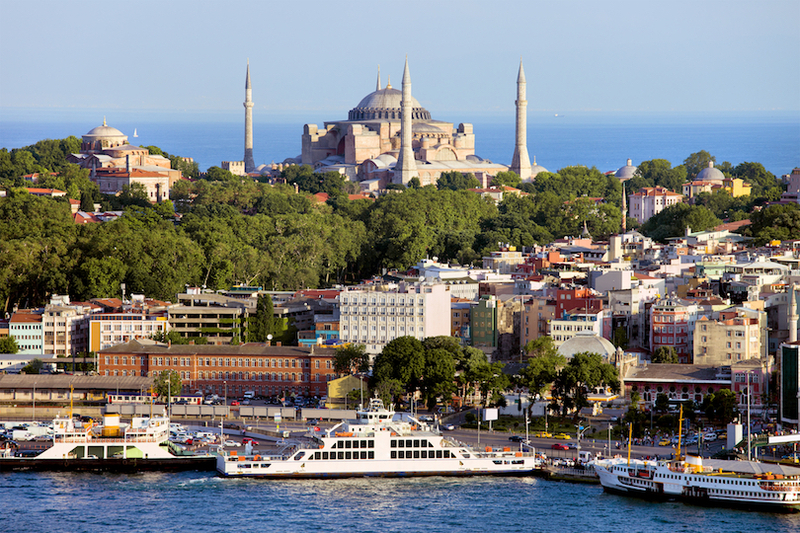 One of the most remarkable cities in the world, Istanbul straddles the Bosphorus Strait and has long been a place where the East and West meet. 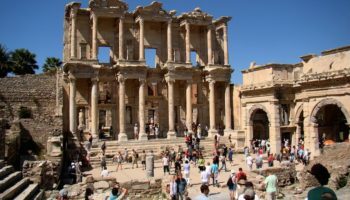 Due to its long and tumultuous history, various cultures and people have impacted the city over the ages; you can find delightful traces of the Greeks, Romans, and Venetians scattered about town. 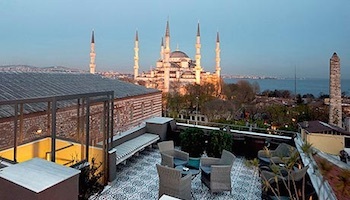 Thanks to its strategic location, merchants flocked to Istanbul bringing their wares and wealth, and this translated into the beautiful buildings, delightful mosques and fantastic palaces that we see today. Packed full of ancient sights such as the famous Byzantine church of Haghia Sophia, Istanbul is a delight to visit. There are a plethora of brilliant restaurants, bars and nightlife options for visitors to check out. A magical place to wander around, Istanbul’s friendly and welcoming population will have you falling in love with the city in no time at all.